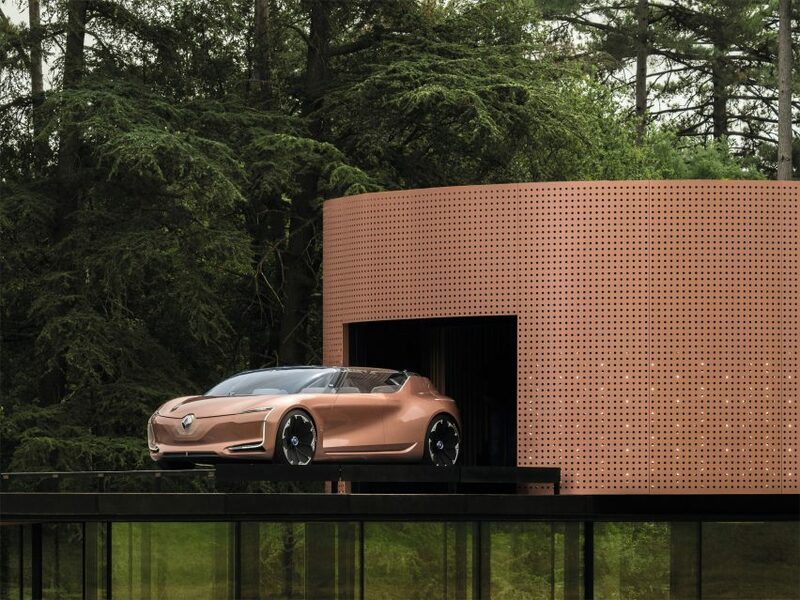 Renault has revealed an autonomous, electric concept car at the Frankfurt Motor Show this week, which it sees as an extension of the connected home. 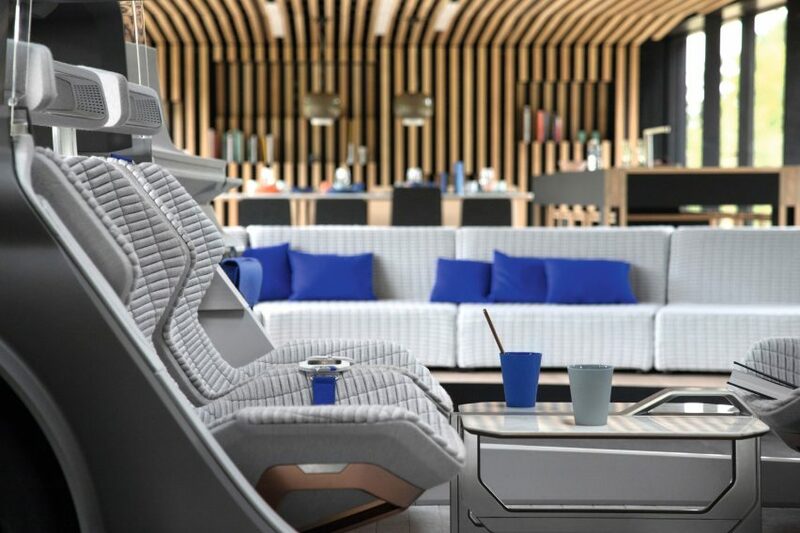 Described by the car company as “an extra mobile, modular and multi-purpose room”, Symbioz is a vision for a car “in complete symbiosis” with the modern home, which connects to it wirelessly like many of today’s domestic appliances. Externally, the car takes its cues from contemporary architecture. It features a steel frame, expansive windows and wooden joinery details. Inside, the car is designed to echo the details and finishes of a living room, with materials including copper, marble, fabric and porcelain. Its four seats, described by Renault as “armchairs”, can rotate to face each other, just like a swivelling armchair. “The car becomes a new mobile, multi-purpose living space for the whole family and can be used – open or closed – more fully, even when parked,” said Stéphane Janin, Renault’s director of design. 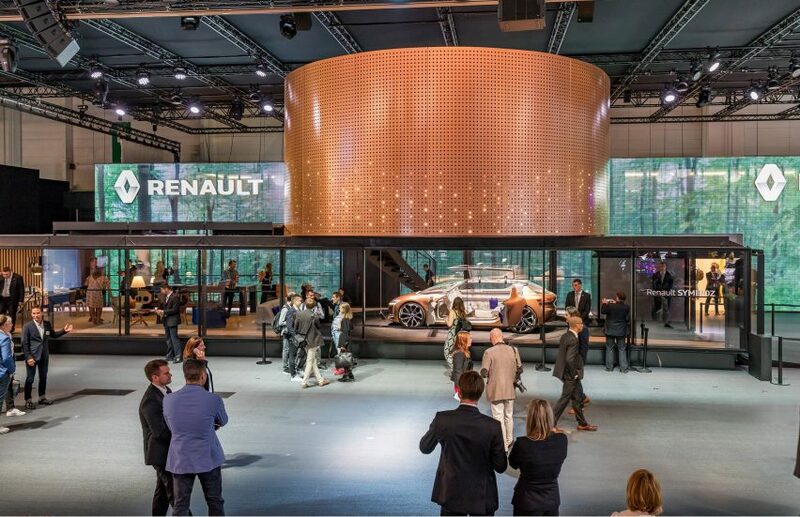 Renault is presenting the Symbioz concept car at the Frankfurt Motor Show, which opens to the public tomorrow at the Messe Frankfurt exhibition centre. 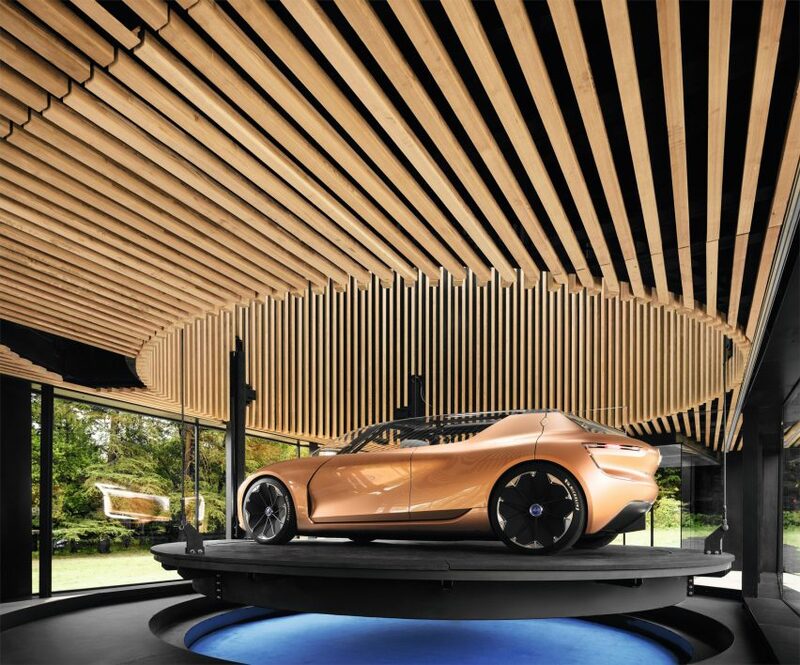 As part of the presentation, the brand is showing the car alongside a vision of the future home. Motor show visitors are able to walk around the car within its connected home environment and experience how the two may interact in the future. 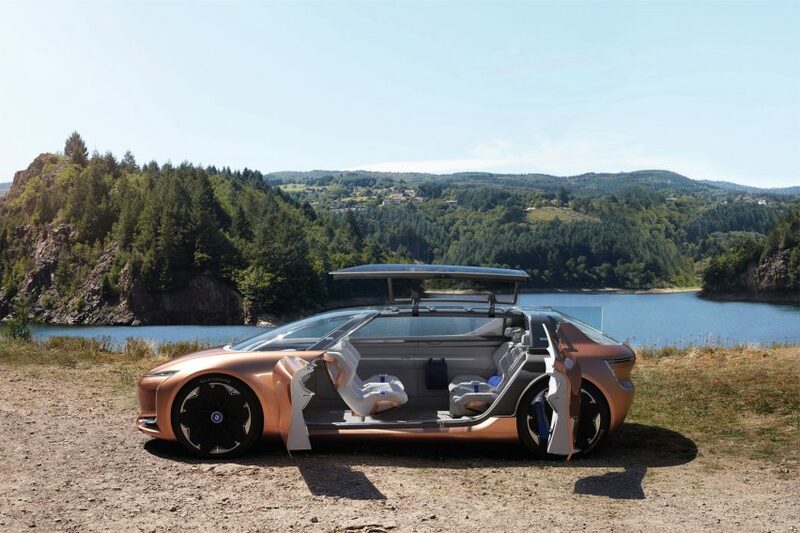 “As designers for Groupe Renault, our job is to imagine what role cars will play in the future and integrate them into its ecosystem,” said senior designer Tina Kentner. The residence has a total area of approximately 120 square metres, and was designed for Renault by French studio Marchi Architectes. A custom-engineered lifting and rotating platform is incorporated into the house, which raises the car from the ground floor to the rooftop, so that users can enjoy views of the surroundings. When the lift is raised up, it creates an additional living space on the ground floor. As well as informing one another aesthetically, the car and the home also economically share energy. 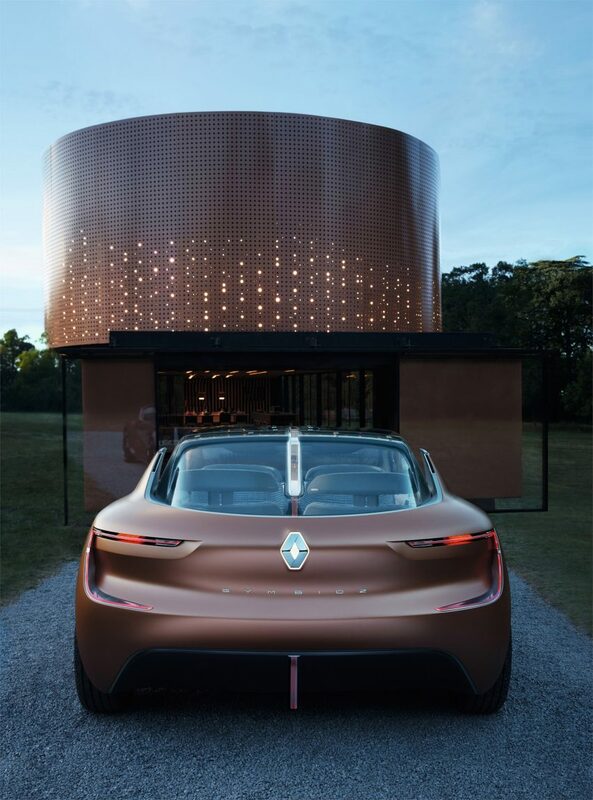 “Kilowatt-hours are distributed through a smart grid shared by the car and the home in an artificial intelligence environment capable of anticipating occupants’ needs,” explained Renault. The wireless connection between the car and the home is constant, so continues to function when the car is on the move. This allows users to access their music, social media, and personal cloud storage around the clock. Also, if someone rings the house’s doorbell, the dashboard displays their face, and the passenger can give them access remotely. “No longer can we think of car design in isolation from the ecosystem surrounding us, or from the evolution of major changes like electric energy use, connected and autonomous drive technologies that influence our lives,” stated Laurens van den Acker, senior vice president of Renault corporate design. Renault is showing a demo version of Symbioz in Frankfurt, but expects the vision to become reality by 2023. The vehicle would be powered by an all-electric motor, which can be charged to 80 per cent capacity in just 20 minutes. Users would also have the option of switching on an autonomous driving system, which causes the steering wheel and column to fold away into the dashboard, and the pedals to retract – further reinforcing the car’s room-like aesthetic.